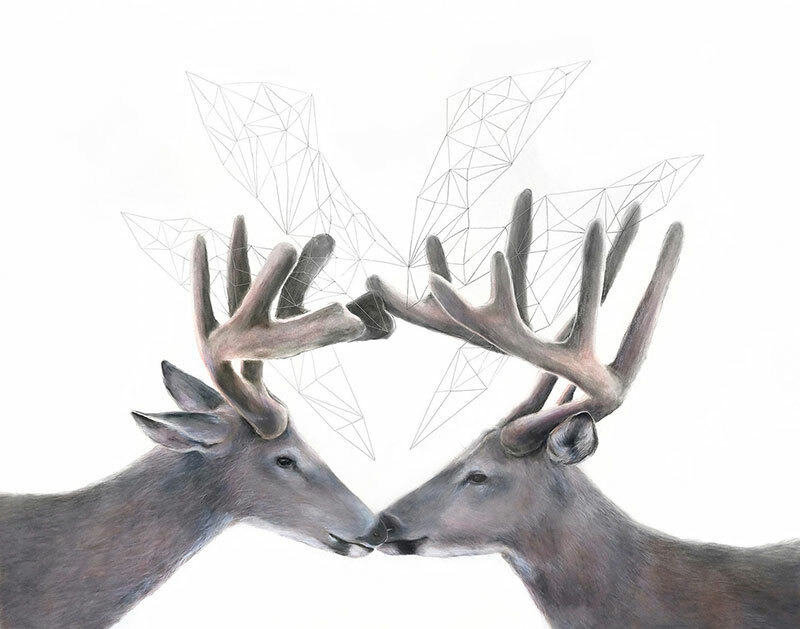 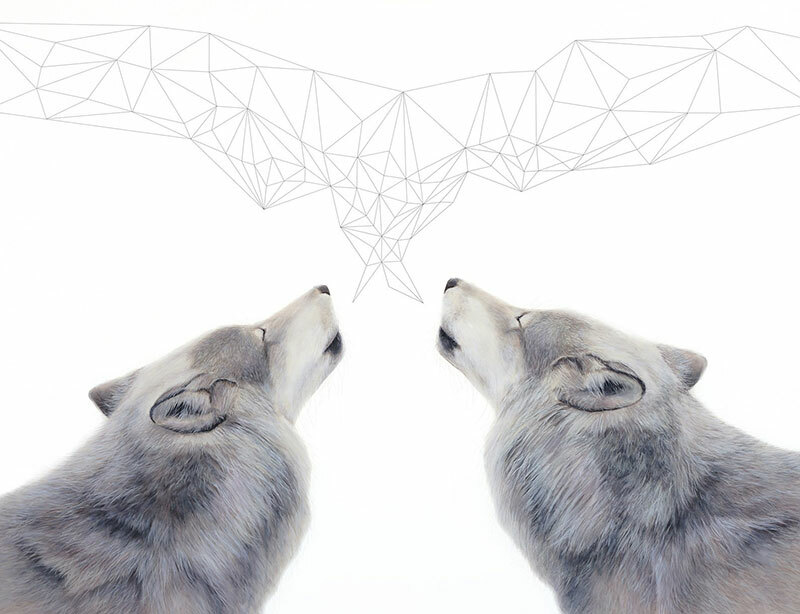 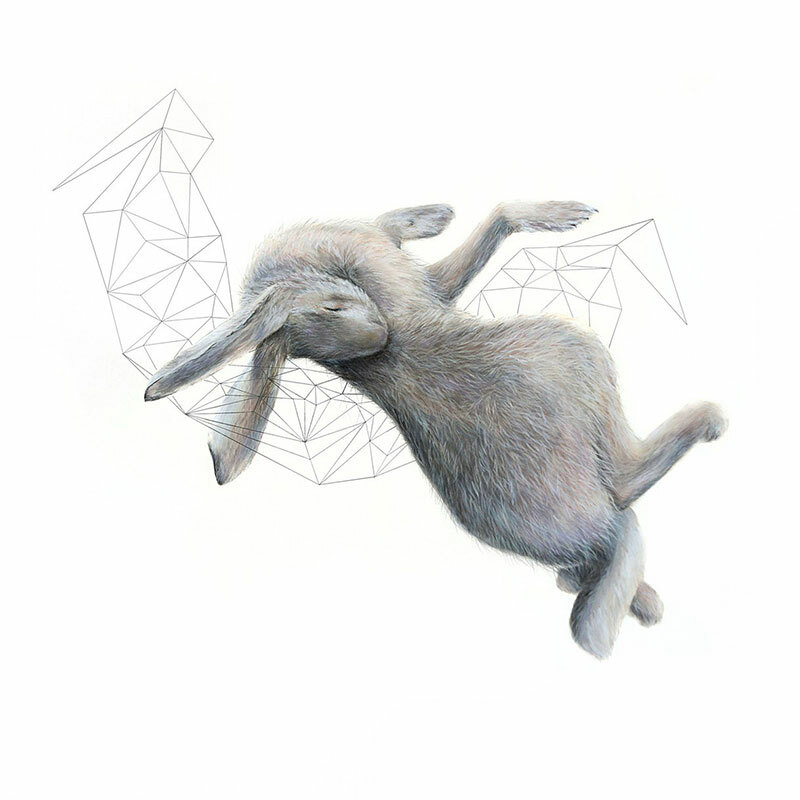 Drawings of animals combined with geometric forms by Cleveland-based artist JenMarie Zeleznak. 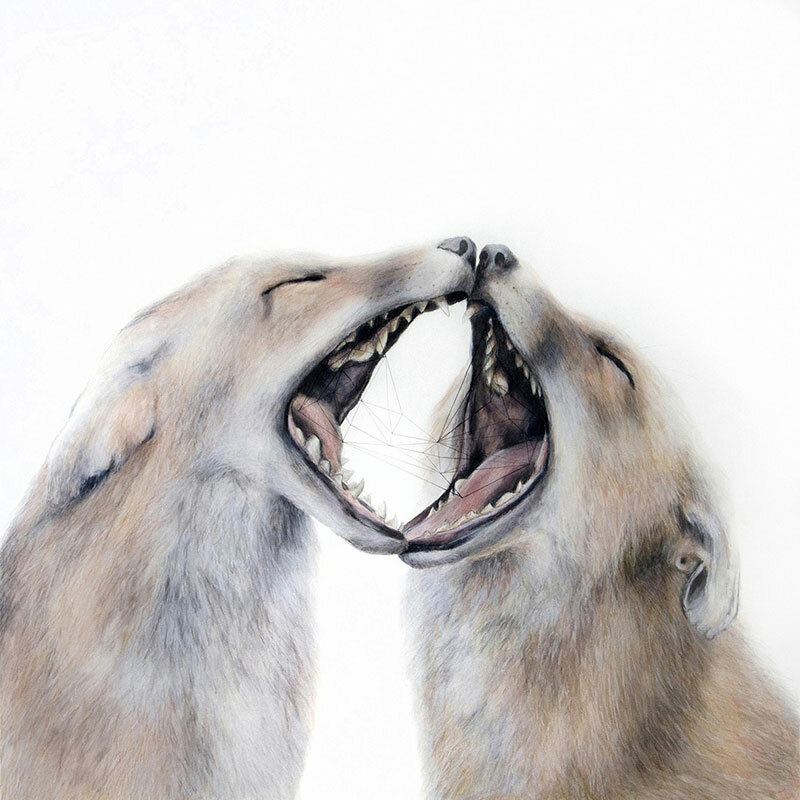 She describes her work as "introspective and concerned with emotional and spiritual experiences" depicting the animals as "a medium for the expression of the self, yet they retain their own autonomy, embodying gestures that convey emotional form and are signposts of a kind, indicating shared aspects of being." 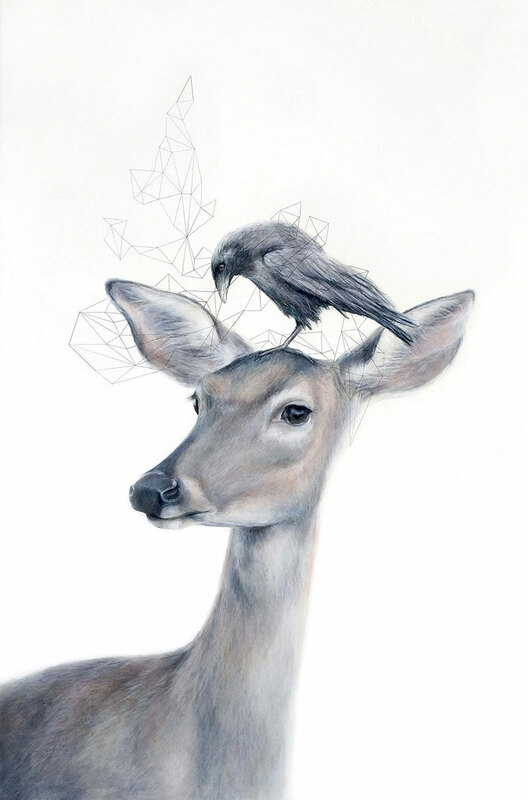 I work with watercolor pencils in both a sensitive and crude manner, using hands and fingers to manipulate the material onto paper. 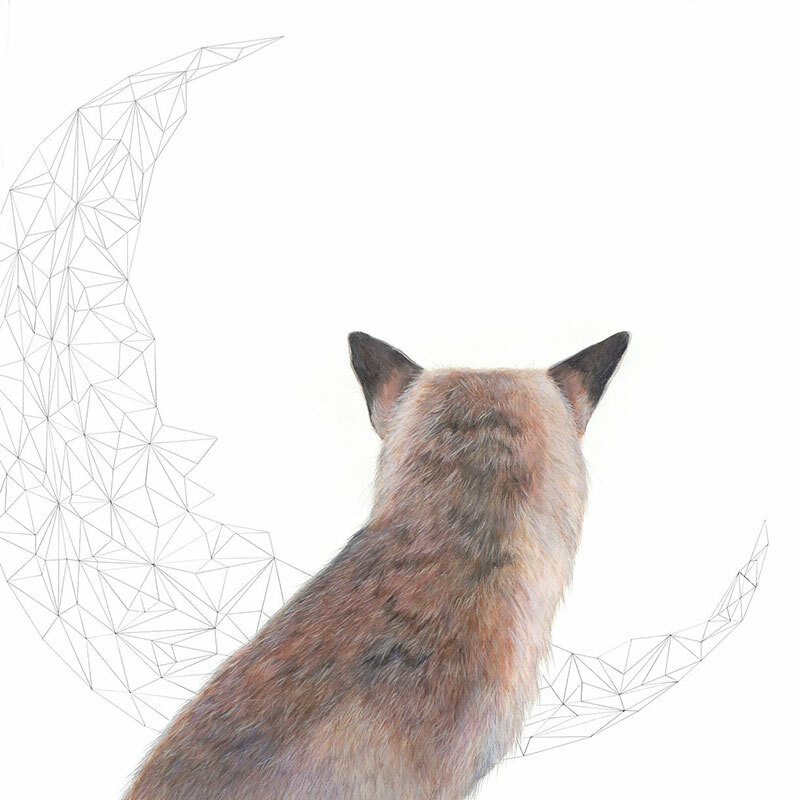 This personal and direct connection, much like caressing or grooming an animal, gives me the intimacy I need in the work as I bring the animal into being. 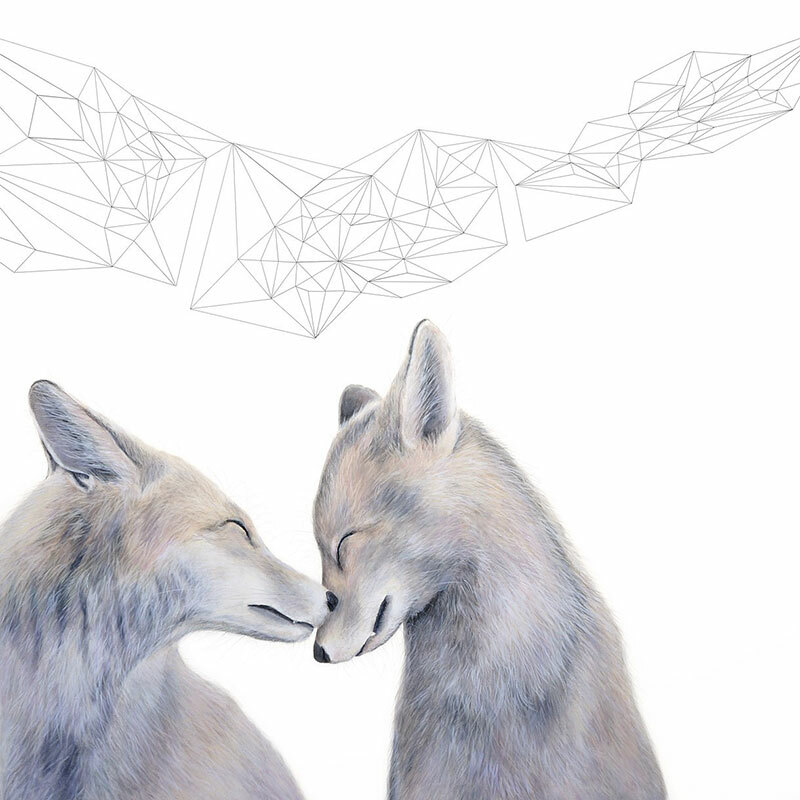 This intimacy is both constructive and destructive, laced equally with desire and fear, presence and absence. 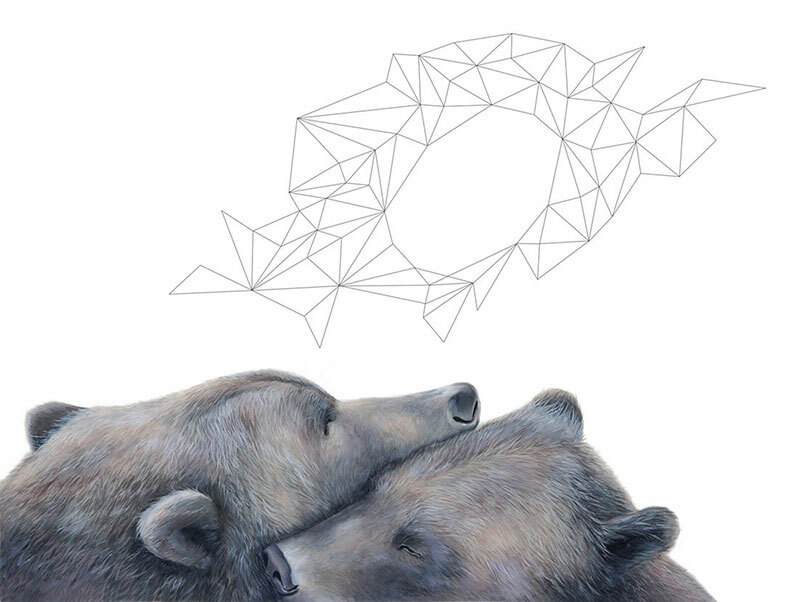 Drawing becomes a place for intimacy that allows for 'touching' the subject when actual touch is at once desired and daunting. 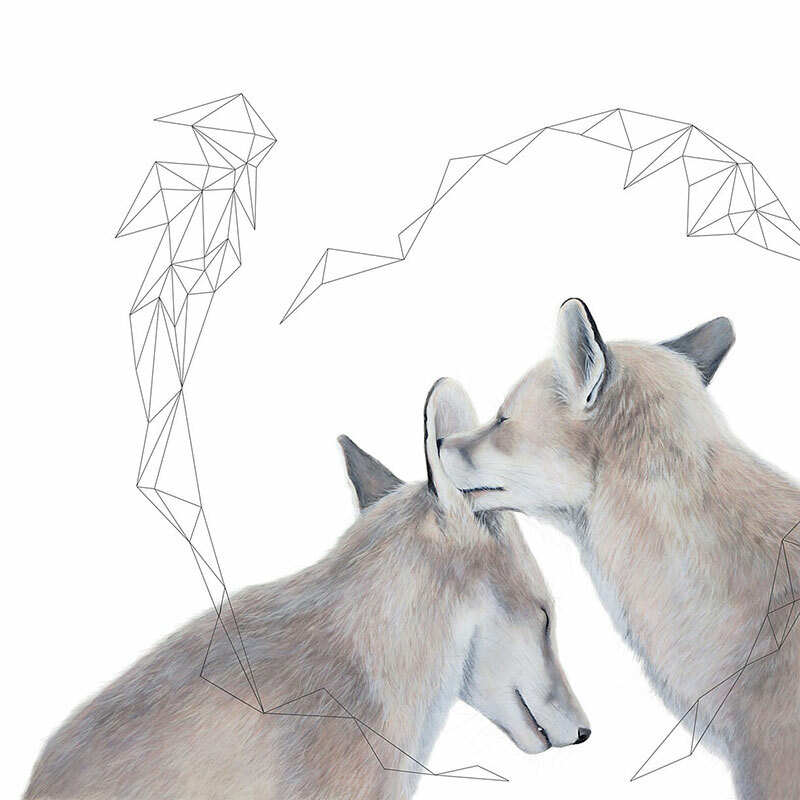 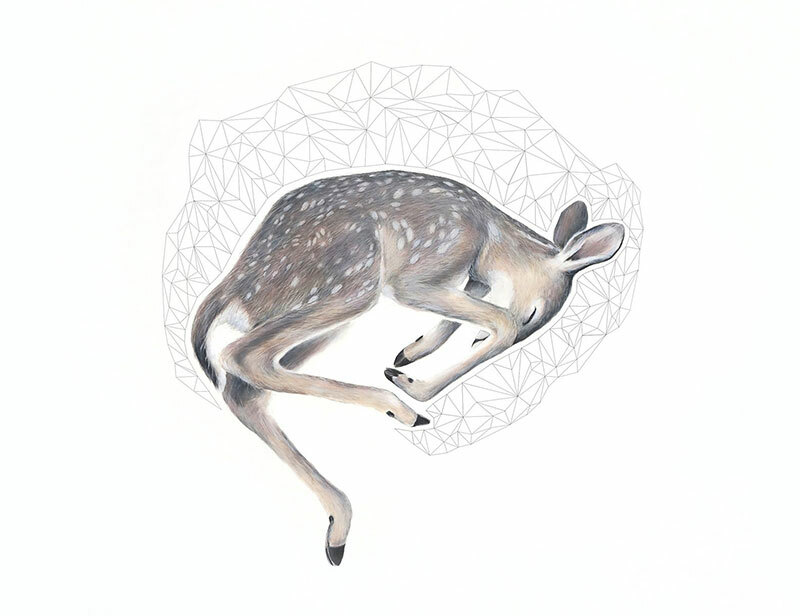 Drawings of animals combined with geometric forms by Cleveland-based artist JenMarie Zeleznak.